So many tools claim to increase productivity, efficiency, money, and/or time, so you would think that every business would be growing at a fast rate. However, what many of those businesses are missing is a solution that is fully integrated. I am not saying that stand alone software is not useful, but what I am saying is that you can get much more bang for your buck with an integrated software that will grow with your business and integrate key business processes. When you invest in a business operating platforms, you want to be investing for your future growth. An integrated platform lets you bring all of your business processes under one roof allowing you to focus more on growth and less on platform integration. We see a lot of entrepreneurs and small business owners come to us because they want to streamline their business processes and increase efficiency and synergy within their organizations. The main caveat they face is the lack of alignment between their many stand alone software. For example, many people use BaseCamp for project management, Eventbrite for event management, Marketo for email marketing and automation, and Salesforce for CRM. That is a lot of software for many different things. Imagine how much data is lost about your leads and clients because you cant match it up correctly between each program? That is where integration comes in to save the day. Simply put, integration is key for growth. Why? Because it brings together individual elements into a harmonious whole. Once all the pieces work together (marketing, sales, and operations) then your organization is able to grow at a faster pace without organizational disruptions. When companies use siloed applications, they are much more likely to run into problems that can stunt or slow their growth rate. Waste of time inputting and analyzing data: When you’re trying to grow your company, you need all your team members and employees optimizing their time and effort.. It is a waste of employee productivity to be going back and forth between different systems and attempting to figure out what is going on in each and duplicating data all over the place. Issues with customer retention: This ties into the previous point. Using two or three different applications can hinder your ability to keep existing clients. Why? Because important contact information falls through the cracks when you’re using multiple applications. The reality of today’s business is that nothing can fall through the cracks because people’s buying behaviors have changed entirely. 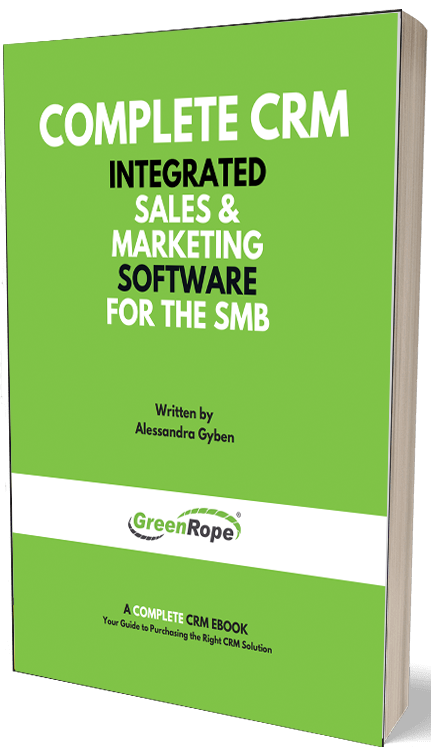 It is important to have a system that measures and tracks every stage of the sales cycle, from awareness to conversions, and eventually evangelism. High cost for multiple software applications: This is a no brainer. When you are using a variety of applications to conduct your marketing, sales, and operations, you are likely spending more than you need (for less bank for your buck). When you have one integrated software, you not only have one price to pay, but you don’t need to worry about how all the pieces fit together. An integrated platform can often save up to 80% cost of ownership while increasing efficiency and the overall customer experience. Your business operations will become much simpler once you instill a strategy that integrates all your processes. Business is already complicated in and of itself so why not simplify it by investing in software that will take care of everything for you?